Opening March 15 at 10am. Opening hours are 10-8 till memorial weekend and then 10-9pm all summer long. Richwine’s Burgerville – Our 58th Year! from David W. King Pictures, LLC on Vimeo. Richwine’s Burgerville is a local family owned Drive-in restaurant celebrating more than 50 years in the Business. 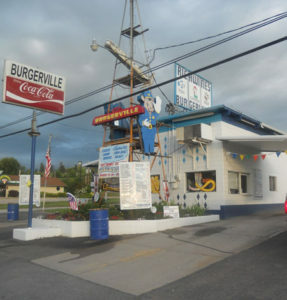 Richwine’s Burgerville is best known for their 100% bull hamburger, hand ground, fresh on the premises, hand pressed daily and made to customer specifications. The Richwines’s pride themselves in quality, consistency of service and customer satisfaction. Open daily, the first Friday in March to September 30th each year. Looking to vacation in Polson, the Flathead Lake Vacation Guide is available for your smartphone, e-book reader or tablet. Click here to learn more.